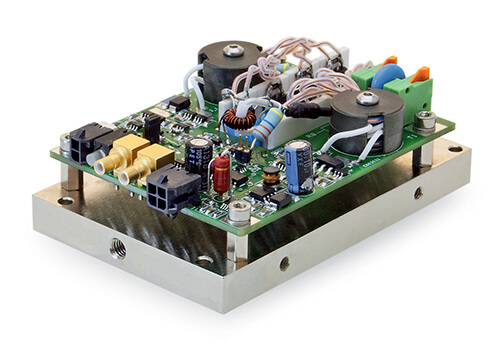 DP-SP series drivers are designed for HV pulse durations from 15 ns and pulse repetition rate up to 600 kHz. DP-SP series Pockels cell drivers can be used for single pulse selection in pulse picker applications for higher repetition rate lasers. While repetition rate can be up to 600 kHz, the standard range of possible pulse durations is from 15 ns to 5000 ns. 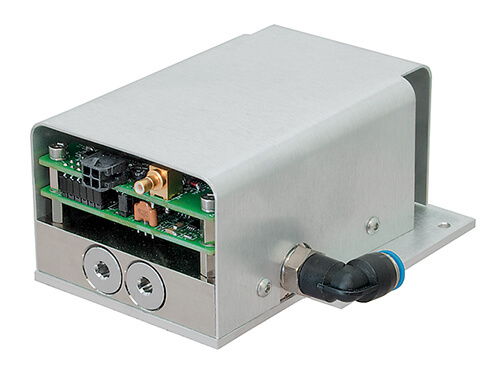 DP-SP series units are available in two versions: "open frame" which is ideal for OEM manufacturers incorporating drivers in their own systems and encased in aluminium housings. Encasing of Pockels cell driver in aluminium housing solves two problems: shields both humans and electronics from high voltage impact from opearting Pockels cell driver, and protects driver itself from portentially harmful external contact - ensuring safe operation and driver longevity. The housed option is especially handy for researchers and custom product manufacturers who use these drivers during their own systems build-up.